Self Help Africa US is governed by an independent Board of Directors. This board directs policy and strategy for the organization, as well as providing operational and financial oversight. Norman D Sheehan is an international risk management and mitigation specialist, advisor and crisis responder to NGOs and International Organizations. His expertise spans more than 28 years of developing and implementing operational security programs, policies, crisis response, critical situation negotiations and implementing and advising humanitarian assistance initiatives. Working alongside the United Nations, NATO, European Union, the International Committee of the Red Cross (ICRC), international and national non-governmental organizations (NGO) and national governmental military structures. his experience also includes negotiations with diverse elements and warlords in Sierra Leone, Liberia, Somalia and Iraq and local militias throughout central and east Africa such as the Democratic Republic of the Congo, South Sudan, the Darfur region, borders areas of Chad, Central African Republic and Uganda. In 1985 he joined the humanitarian and development organization GOAL, leading emergency response deployments for prolonged periods in Liberia, Sierra Leone, Ethiopia, Mozambique, Sudan, Bosnia, Rwanda, Burundi, Afghanistan, Democratic Republic of the Congo, Somalia, South Sudan, East Timor, Kosovo and Albania. Between 2003-2006, he served as CEO of WarChild, an organization dedicated to assisting children affected by war. Since then, he has worked with a variety of international NGOs, including the Academy for Educational Development, FHI360 and Chemonics. He currently serves on the Overseas Security Advisory Council (OSAC) as a council member. He also serves on the boards of the International NGO Safety and Security Association, and Hostage USA. Liam is CEO of Kettle Cuisine, a Massachusetts-based food company. Prior to this, he was CEO of Greencore USA from 2010 to 2015. Liam has over 25 years’ experience in the food industry, having previously worked with Hazlewood Foods plc (later acquired by Greencore Group), Chase Food Service, Geest South Africa and John Rannoch Foods. Liam has extensive experience of fruit sourcing and processing in Africa. 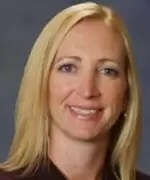 Megan is a founding board member of Self Help Africa US and an Associate Professor at Florida International University (FIU) College of Law in Miami. Prior to joining FIU’s law faculty in 2007, she was a member of the Transitional Justice Institute at the University of Ulster in Belfast, Northern Ireland. She is an honors graduate of Washington and Lee University School of Law and holds an LL.M. (first class honours) in International Peace Support Operations and a Ph.D. in International Human Rights Law, both from the Irish Centre for Human Rights, National University of Ireland, Galway. Tom Corcoran is a founding director of the board of SHA US and is the former Chairman of both Glanbia and Glanbia USA. 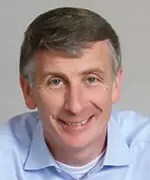 He first joined the board of directors of Glanbia in 1988, becoming vice chairman in 1997 and group chairman in 2000. He retired from that position in July 2005. 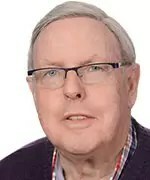 He was Vice President of the Irish Co-operative Organization Society, which coordinates the cooperative movement in Ireland, and has also served on the National Dairy Council and Bord Bia, the Irish food board. He is the former Chairman of the board of Gorta-Self Help Africa in Ireland. He operates a family dairy farm with his two sons in Waterford County, Ireland. Susan A Davis is a pioneering woman business owner considered an icon in the public relations industry. She opened her agency when relatively few women were experiencing success in the business world, and fewer still owned their own business. Over three decades, she has grown her agency into a global public affairs and strategic communications powerhouse, receiving accolades and recognition from industry peers and earning the respect of business and government leaders around the world. Internationally known for her expertise in strategic positioning, reputation management, government relations and crisis communications, Davis has provided counsel to government and industry heads throughout Europe and The Americas, and continues to advise key public figures worldwide. A lifelong advocate for social entrepreneurship, democracy building and leadership development for women, she is the Chair of the Board of Vital Voices Global Partnership, the NGO that trains and empowers emerging women leaders in 125 countries. She was the first International President of the International Women’s Forum, the global leadership organization now representing more than 3000 women of achievement. Ms. Davis chaired the landmark U.S. Ireland Business Summit which created the groundbreaking U.S.- Ireland R&D Partnership; and has been recognized for her leadership in Ireland and Northern Ireland by Irish America Magazine (“Top 100 Irish Americans and 75 Most Influential Irish American Women”) and The Flax Trust “For Service to Northern Ireland”. She is Board Chair of The Irish Breakfast Club; Board Chair for Razia’s Ray of Hope Foundation, member of University College Dublin Graduate School of Business Board; Co-Chair of the Washington Ireland Program Trustees Council, and a board member of Medical Missions for Children; St. Judes Hospital’s Professional Board and the US-Panama Business Council. With over 15 years of international experience in developing renewable energy businesses across Europe and the US Jim is CEO and Director of Lakeview Energy, a biofuels manufacturing, commodities trading, agribusiness and wind energy company based in Chicago. Jim currently holds a number of directorships in companies including its two bio-refineries Three Rivers Energy in Ohio and Plymouth Energy in Iowa and is a member of the US Grains Council Ethanol Advisory Team. He is also a board member of the Marine Renewables Energy Association. 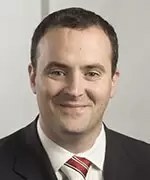 Jim holds a Bachelor Degree and Masters Degree in Agricultural Science from University College Dublin in Ireland and an MBA degree from University College Cork in Ireland. Dr John Dardis is Senior Vice President for US Corporate Affairs with Glanbia plc. 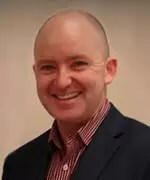 A recent appointment, John will oversee Glanbia’s media relations, government affairs, policy, reputation and issues management for a diverse range of business’ that are part of Glanbia’s growing footprint in the USA. John previously served as Ireland’s First Secretary for Agriculture, Food and the Marine at the Irish Embassy in Washington DC where he managed Irish agri food trade interests, as well as policy issues of interest to Irish agri food, and agricultural development. He was chair of the World Bank’s Global Food Safety Partnership Communications Group. John has previously held senior positions in the Irish Department of Agriculture, Food and Marine, including managing animal nutrition policy and enforcement and Ireland’s engagement in European research policy and foresight for Agriculture, Food, Biotechnology and Fisheries. John holds an honors degree in agricultural science from University College Dublin, and a Ph.D. in wheat breeding and agronomy from UCD. His studies, for which he received the National University of Ireland bursary for agricultural science and the agricultural trust fund scholarship, saw John study at North Carolina State University in 1998. In 2014 he completed the Harvard Agri Business course. John is a 4th generation farmer with a cereal farm in County Kildare.